The exotic birds feature in a foliage-filled frieze decorating a church in the Studley Royal grounds, and also Jakab Bogdany’s early 1700s painting: Parrots and a Lizard in a Picturesque Garden. 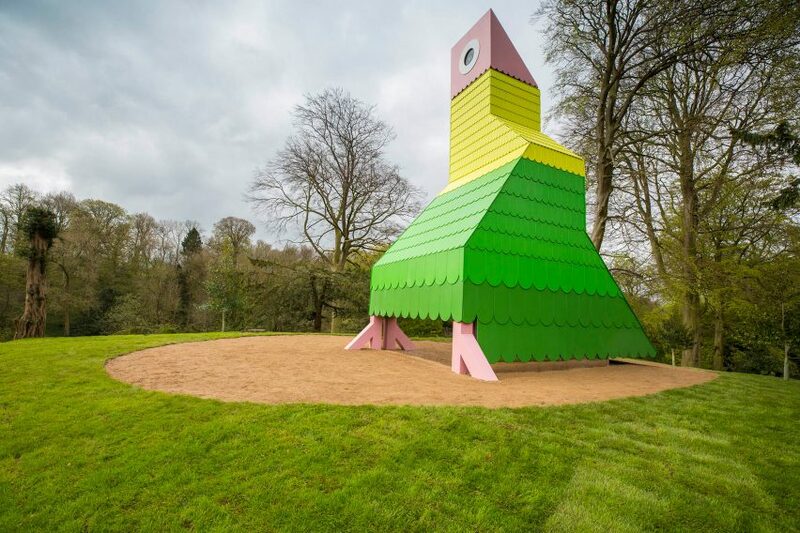 Mirrored panels around the base make it appear as though the parrot is perched on he top of the hill, it’s foundations hovering over the ruins of the temple that can still be found on the spot. 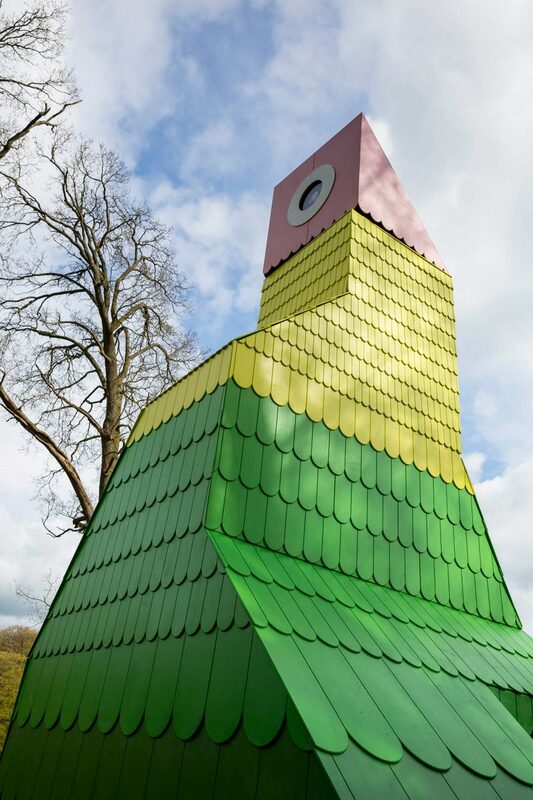 “I have always been fascinated by English landscape gardens and the tradition of folly building,” said Charles Holland. 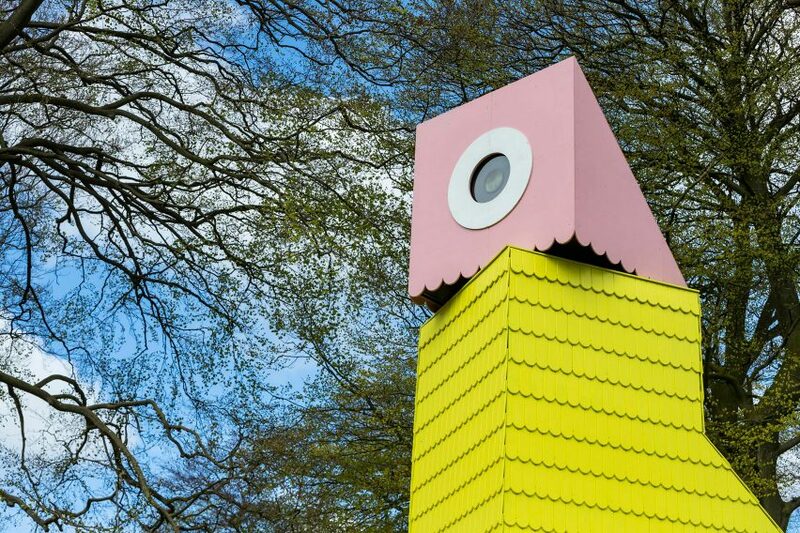 In another nod to the complicated history of property and power implicit in folly architecture and the history of Studley Royal, Holland installed a lens in Polly’s head, which can rotate the full 360 degrees. 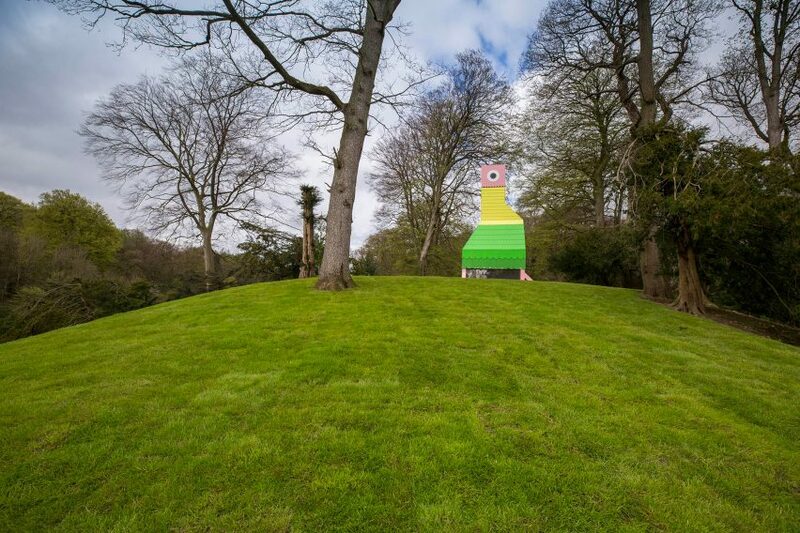 Disgraced 18th century politician John Aislabie, who was involved in the scandal of the South Sea Bubble, inherited the Studley the estate from his mother’s side and set about creating one of England’s first landscaped gardens. 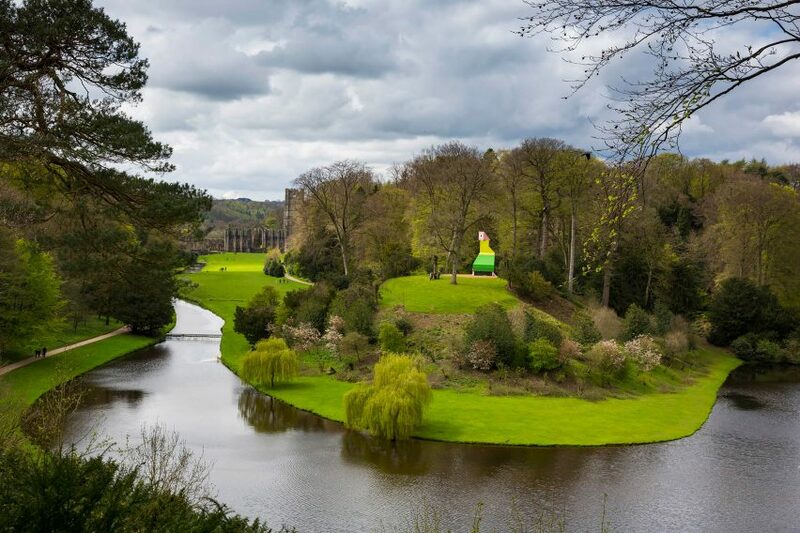 Frustrated at being thwarted in his dream of buying the nearby ruins of Fountains Abbey, Aislabie designed a route through the garden that leads to a viewpoint of the abbey so he could at least own the view. 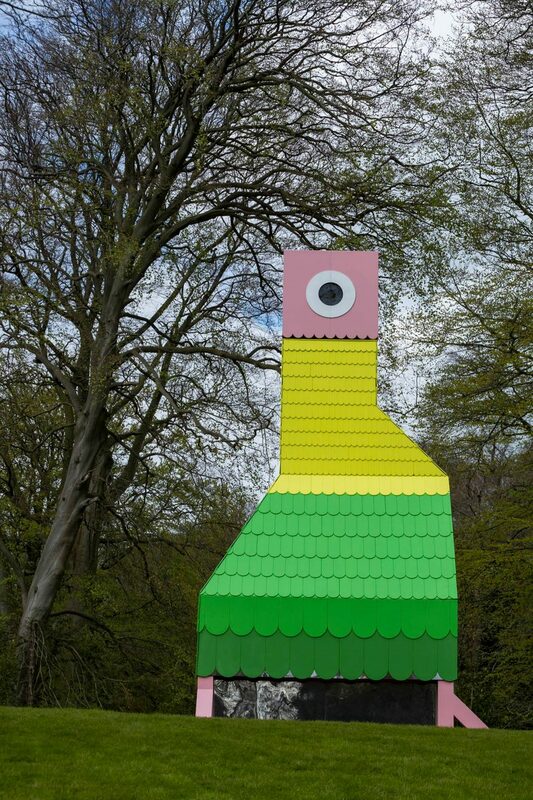 Holland’s Polly allows visitors to own any view they like of the park, as part of a public art show. 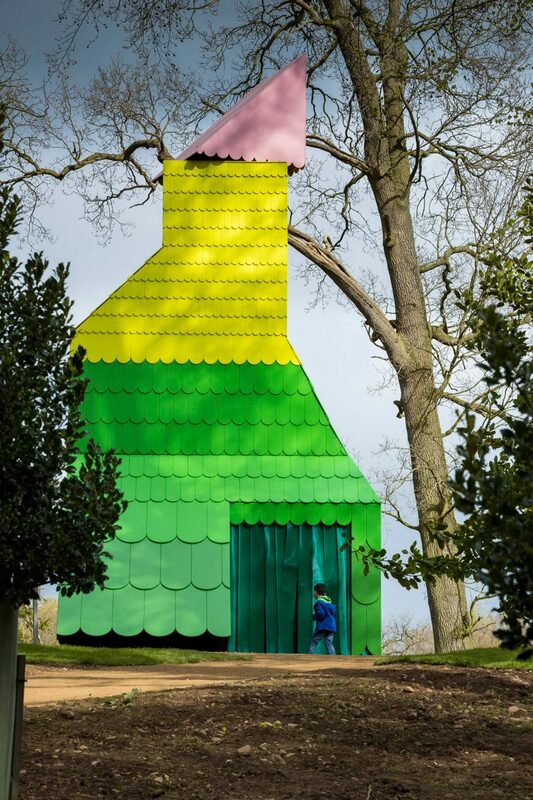 As part of his former practice FAT, Holland was one of the architects behind artist Grayson Perry’s A House For Essex, a colourful fairy-tale house on the coast that combined elements of folly, lighthouse and shrine architecture.